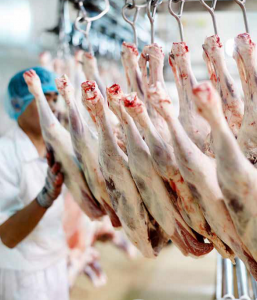 AUSTRALIA’S processed lamb and mutton volumes increased year-on-year in September, with the combined slaughter figure continuing a trend that started in May this year. In September, a total of 1.9 million lambs were slaughtered nationally, taking the 2017 year-to-date total to 16.5 million head, one percent lower than 2016 levels, Meat & Livestock Australia reports. Meanwhile, year-to-September sheep slaughter was equal to that of 2016, on 5.2 million head, bolstered by an uplift of 19pc in September. During the second half of 2016, wet conditions and a tighter supply situation lead to a contraction in slaughter numbers – also a factor that affected the beginning of 2017. However, the return of dry seasonal conditions across many key supply regions, combined with an increase in flock numbers, resulted in 2017 monthly slaughter figures surpassing that of 2016 from May onwards. In terms of production, the higher September slaughter levels translated to greater volumes, with lamb production lifting 4pc (41,244 tonnes carcase weight) and mutton increasing 18pc (18,432t carcase weight) year-on-year, despite no increase in average carcase weights for lamb or mutton. On a year-to-date basis, lamb production reached similar levels to 2016 on 378,668t, with the limited production during the beginning of the year offsetting a 3pc increase in average carcase weights to 21.96kg. Mutton production lifted 4pc, totalling 128,276t, aided by an increase in carcase weights, which also lifted 4pc to average 25.23kg. Going forward, the higher likelihood of average seasonal conditions prevailing may favour the continued recovery of the national flock, resulting in a higher turn off of lambs and cull ewes, MLA said. Meanwhile, prices remain at historic seasonal highs and demand – both domestically for livestock and internationally for sheep meat – continue to lend support.